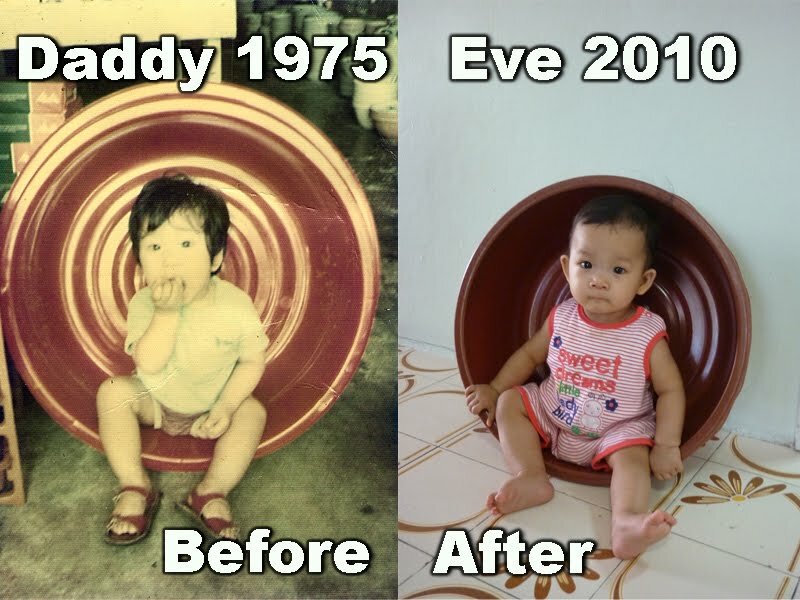 TIGERLIM.COM: Perhaps Another 35 Years Wait For My Granddaughter!!! Perhaps Another 35 Years Wait For My Granddaughter!!! Then now I took my my baby girl photo! Isn't it she cute as the father back to 35 years ago? Perhaps one day my daughter she gonna follow the daddy and take her children picture like that again! Hahaha.... am I thinking too much or what? My daughter baru 8 months old I already imaging she got anak sudah...hahaha! How Bout AUD$1.8 Millions This Time!!! AUD$40,000,000,00 Waiting For Me Tonight!!!! How To Improve My English??? How Come Like That One??? My Friend Looking For A Boyfriend!! It Can't Success If Without Me! The Brightest Midas XL3 In The World!